The veggie burger craving is real. Sometimes, you crave a vegetarian take on the traditional burger, but other times you need something a little ways off the beaten path. If you’re looking for some Southwestern zing, you can always go with a black bean burger. 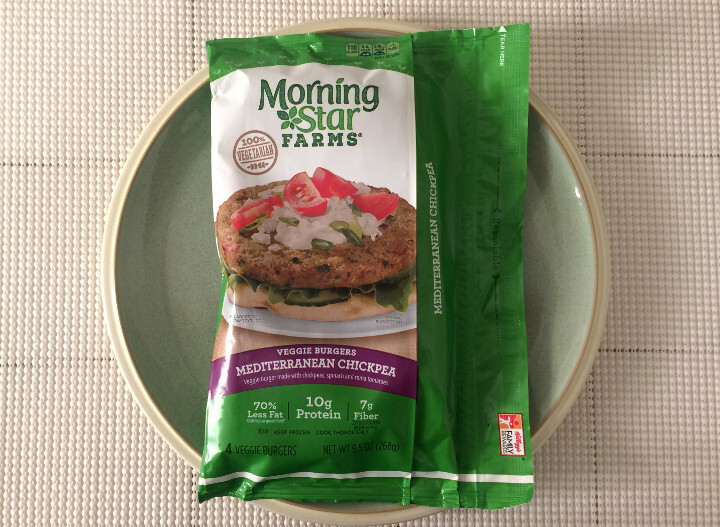 However, if you’re looking for something with a bit more of a Mediterranean vibe, the Morningstar Farms Mediterranean Chickpea Veggie Burgers might scratch that itch. 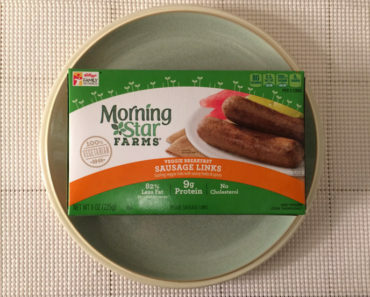 There are several ways you could go about heating these up, but we recommend cooking them in a pan with a bit of vegetable oil. 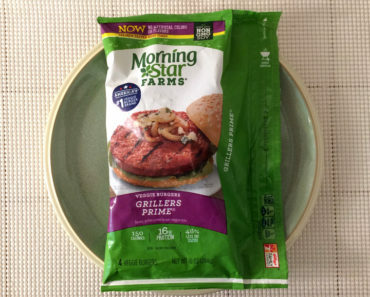 That’s been our favorite method for cooking veggie burgers for a long time now. Be careful with these; they tend to cook extremely fast, so it’s very easy to overcook them. On medium heat, a few minutes on each side is all these really need. As the name suggests, these are primarily made of chickpeas. While this is mostly a mash, you will find whole chickpeas in the mix. There’s also some brown rice thrown in, as well as onions and a decent amount of garlic. Overall, these have a very falafel-like flavor. That should come as no surprise, since that’s what you’d expect from a Mediterranean chickpea patty, but it is a welcome treat nonetheless. 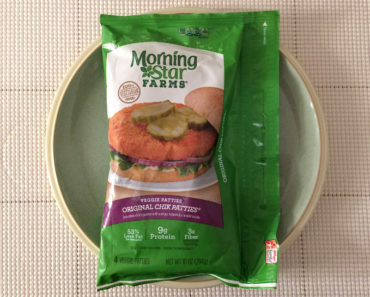 One package contains four veggie burgers, though we doubt anyone will eat a full pack at once. We tend to think two burgers makes a great meal. One burger contains 110 calories (40 from fat) and 240 mg of sodium. 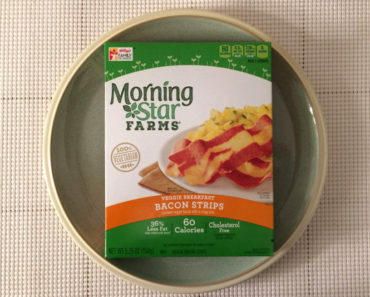 That means if you eat our recommended serving of two, that becomes 220 calories (80 from fat) and 480 mg of sodium. 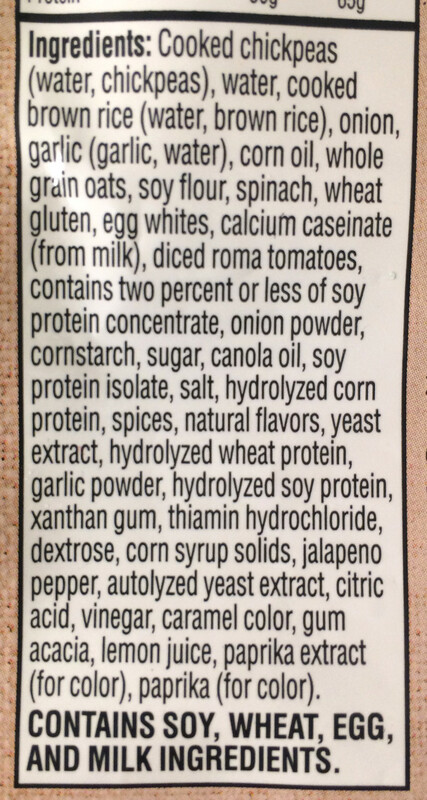 That’s really not all that bad, but keep in mind you’ll be adding more calories and sodium by adding buns and toppings. These numbers could really start adding up if you’re not careful. We dressed our burgers up in the traditional way: with lettuce, tomato, ketchup, mustard, and a slice of cheddar cheese. But since these are made of chickpeas, you could get really creative and dress them up more like a falafel. You could add some feta and a dab of cucumber sauce, then chop the patties up and stick them in a gyro shell. There are all sorts of things you could do with one of these — these are truly versatile burgers! 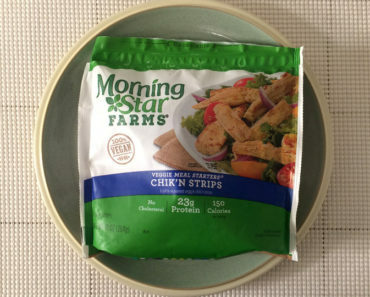 The Morningstar Farms Chickpea Burgers are a wonderful treat that combines veggie burgers with falafel. 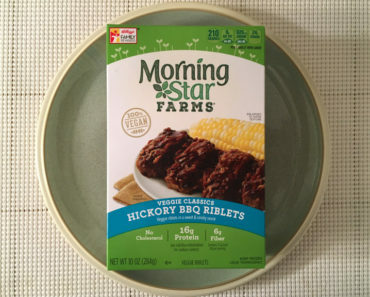 If you love veggie burgers but are looking for something a bit less traditional, you should definitely give these a try! 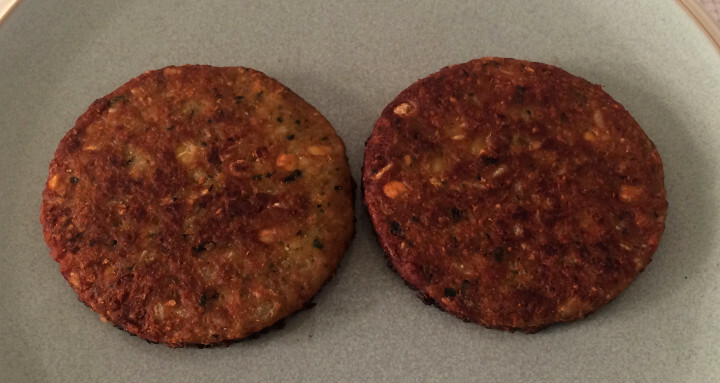 To learn more about the nutrition content or ingredients in these veggie burgers, check out our package scans below.